It was a night to remember in Las Vegas as the top players of Street Fighter V battled it out to see who could win the championship title for Evolution 2017 (EVO). The EVO finals are consistently special moments in the fighting game community, but this year there was an extra level of hype surrounding the Street Fighter V finals: a Top 8 comprised solely of American and Japanese players. The eternal rivalry between Japan and the USA was out in full force on Sunday as three Americans and five Japanese players fought for the ultimate crown in the FGC. The rivalry was not the only thing revving up the crowd — it was the fact that America was poised to win it all this year with Panda Global’s Punk being the player to watch all year long. Having gone undefeated all throughout the tournament, Punk’s clean run had everyone hoping America would finally take home a Street Fighter V EVO championship. However, one man from Japan thought otherwise. Fighting game legend Tokido, playing for team Echo Fox, also had a magnificent run through EVO this year, only losing one match on his way to the Top 8. In fact, Tokido’s sole loss came at the hands of Punk himself. Battling his way through the losers bracket of the Top 8, Tokido bested America’s Fchamp from Team Splyce, defending Capcom Cup 2016 champion, Team Liquid’s NuckleDu, and his fellow countrymen Itabashi Zangief and GODSGARDEN’s Kazunoko. Then, it was the moment Street Fighter fans wait for all year. The grand finals of EVO. America’s prodigy, Punk, versus one of Japan’s most dominant veterans, Tokido. The match started off as a back and forth with both Punk and Tokido taking a game. Eventually, it would be Tokido that began to pull away. Tokido’s depth of experience in high level tournament play and forward momentum from his tear through the losers bracket seemed to make him unstoppable as Punk began to succumb to the pressure. 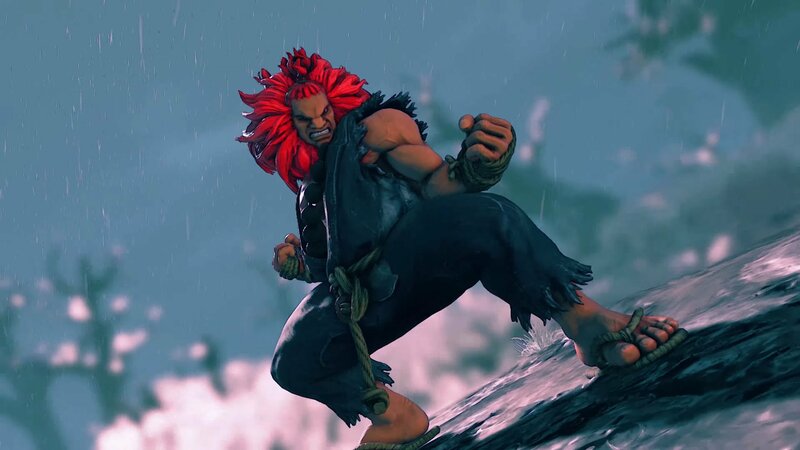 It was not only Punk’s first EVO final, but the whole of the American fighting game community had pinned their hopes on him to end their seemingly endless drought in Street Fighter championships at EVO. Going into the match, Punk held the advantage. Having come from the losers bracket, Tokido needed to win two sets in a row to take the title while Punk, coming from the winners side, only needed to win one. After some intense games, Tokido ended up taking the first set off Punk 3-1. The pressure became too much and Punk, a player known for his swagger and on-stage antics, cracked beneath it. Tokido’s momentum was unstoppable, and he would go on to take the second set and his championship title in dominating fashion. Finishing with a record of 14-1, Echo Fox’s Tokido from Japan was crowned Evolution 2017’s champion of Street Fighter V.